In the aptly titled Nonsense about Interface21, a SourceLabs employee disagrees with my contention that commit rights are necessary to provide credible open source support. Before I reply: I want to make again something completely clear that I already stated in my last blog, but seems to have been misinterpreted by some: Interface21 has no desire to prevent others making money from Spring. Our track record proves that. We welcome others writing about Spring and providing Spring services. Or basing products on Spring, like Matt Raible’s AppFuse. We wish them success. Spring has partly gotten where it’s gotten to through the richness of the ecosystem around it. As technologists and as a company we have always fostered that and we always will. My blog a couple of months ago about models of open source businesses seems to have struck a chord. I’ve had many positive responses, and it prompted an interview request from a site called “How Software is Built”. My interview is here. Finally someone from OpenLogic has posted an interesting reply. Bryan Noll left some comments in a reply to my blog that merit a proper response. First and foremost, I think your assertion that it is not healthy for a project or open source in general when people who have no real investment in a particular project offer support for it is an interesting oneâ¦ one I've not heard before. I think there's enough validity to it to make a company like ours consider it and genuinely examine our responsibility to the open source projects we support. The result of this examination, in my mind, would be a demonstrable policy OpenLogic would have in order to mitigate the potential concerns you're raising. I'm sure I don't know what exactly that would be, so allow me to be vague at this point. This dovetails nicely though into some of the issues I have with what you're saying. Up to this point the Spring Portfolio Maven artifacts, especially the snapshots, were inconsitently created and scattered about in various locations. Over the past couple of weeks, we’ve been working to get the projects to be more consistent in the creation and uploading of these artifacts. One of the most useful improvements to the Maven support in the Spring Portfolio is the use of consistent repository locations. There are three different repositories depending on your level of comfort with the code. support for Tiles2 views in Spring Web MVC. Spring Framework 2.1 turns into Spring Framework 2.5! Interface21 got mentioned in testimony before Congress. Where will the next important businesses come from? The truth is, no one knows and that’s why venture capitalists look everywhere, and in all fifty states, for those opportunities. It’s why venture funds have backed Music Nation in New York City and Incept Biosystems in Ann Arbor, Michigan, Interface21 in West Melbourne, Florida, Boston Power in Westborough, Massachusetts and Click Forensics in San Antonio, Texas. We are pleased to announce that the first milestone of the next generation version of Spring Web Flow is now available. 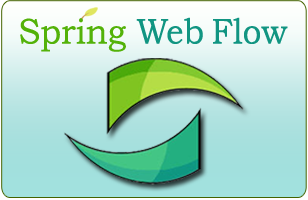 Spring Web Flow 2.0 M1 introduces several major new features, including support for flow-managed persistence contexts, improved support for Java Server Faces, full unified expression language (EL) support, and a more comprehensive sample web application. Spring Web Flow 2.0 is a next generation framework for developing Java web application controllers. The framework offers a unified runtime for executing stateless and stateful client interactions across a variety of environments. After two years of development, we are pleased to announce that Spring Web Services 1.0 is now available. It’s time for the next Java Meetup again. I decided to postpone the 7th installment of this quarterly event in Amsterdam until right after summer, because most people here in The Netherlands take a couple of weeks off in August or so. I’ve looked at our internal schedules and it seems September 21st is the only day left in September, so I hope it fits with other people’s schedules as well. We’ll be doing it at the same location as last April’s meetup, as this is pretty convenient for us and everybody seems to be fine with it. The first Java Meetup ever was held in my favorite Amsterdam hangout, the Wijnand & Fockinck, but we quickly realized this is way too small to accommodate for 50 to 100 people and moved to the Jaren. I’m pleased to announce that Spring 2.1 M3 has been released! This is the third milestone release in the Spring 2.1 series, introducing autowiring for collections, the "bean(name)" pointcut element, various JDBC enhancements, JRuby 1.0 support and many refinements all over the framework. Please see the changelog and JIRA roadmap for more details on the new features introduced in this release. FYI, we have also released 2.0.7 snapshots, containing backported fixes from 2.1 M3. Please give a recent snapshot a try as a drop-in replacement for 2.0.5/2.0.6! The official 2.0.7 release is scheduled for August 15th.